These days, carjacking is a simple reality of life in crime-ridden America (we won’t even get started on other countries like Brazil). It is a common way for people to become unsuspecting victims of violence, intimidation, and theft, all in a matter of seconds. If you are a parent of small children, this threat is probably quite terrifying to consider. Imagine having your car stolen, with your sleeping child in the back? I cannot imagine the fear and horror. 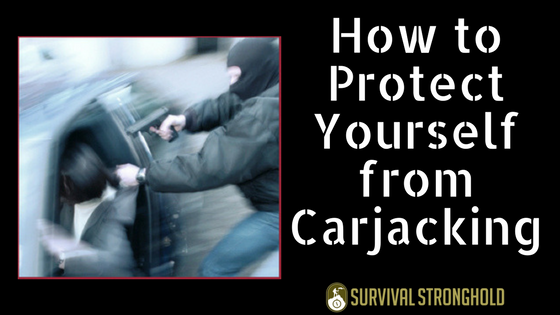 Whether you are a parent or simply a single adult who wants to protect yourself against the threat of carjacking, it is important to develop some habits to increase your chance of protecting and defending yourself against such attack. This is true for protection against many different scenarios in which you might be the victim of a crime, but carrying a personal defense firearm, particularly on your person, will statistically increase your odds of survival. Now, we’re not saying, “carry a gun and shoot anyone who tries to rob you”. It’s not necessarily that simple; sometimes letting someone steal your car is going to be the preferable option to pulling a weapon on someone who already has one aimed at you. This latter scenario might leave you dead, and being stranded without your car is always better than dead. So, arming yourself comes with a required caveat: train with your weapon. Know how to use it and operate it, and also when it is wise to use it and when it is not. However, quite often, a would-be mugger or carjacker either might not expect you to be armed or might unwittingly give you an opportunity to defend yourself. An open window can easily make you a sitting duck to a carjacker, even if your doors are locked. While there are many days on which you’d probably much prefer to have the windows down, just be smart about it. Cruising down a beautiful country road, for example, is probably a perfectly fine time to have your windows down. But if you are stuck in traffic in a bad neighborhood, or sitting in a parking lot on your phone, keep them up, and your doors locked. Just use common sense. Many carjackings and robberies occur when a car owner leaves their car running when they are not physically in the car. Whether you are warming your car up in the winter or want the air to stay on while you run back inside to get something, you put your car at risk of being stolen. If the car is already running, it’s just that much easier to steal! When you exit your car, turn the engine off and lock the doors. While, of course, any would-be carjackers will probably not be able to get your car very far if you happen to run out of gas at an opportune time for them to try to steal your car, you still want to avoid this scenario anyway. Running out of gas in the wrong neighborhood at the wrong time can not only put your car at risk, it can put your life at risk as well. It is a common precaution to keep at least half a tank of gas in your car at all times, and this is not only prudent for engine care, it’s actually prudent for safety. This is an important trick most people won’t think of.When you come to a traffic stop, make sure you can see the tires of the car in front of you. 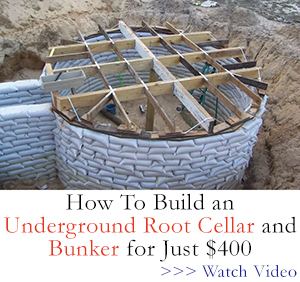 This is so that, in case anything happens, you will have enough space to make a getaway should you need to. It’s always important to keep your eyes on the steering wheel when you are driving, and you’ve probably been taught that keeping them at ten and two is the best position. However, when it comes to potentially needed to preform an evasive driving manuever, nine and three are the best places to keep your hands if you might need to jerk your wheel and take off, say, should someone attempt to car jack you. A common method of carjacking in other countries that could catch on in the US is to block the car with a motorcycle while someone jumps off and car jacks you. If this were to happen to you, having your hands at the right position will improve your chances of being able to jerk the wheel to the side and split. Car jacking is a frightening prospect that you wouldn’t want to become reality in your life. Make sure to keep these tips in mind and try to make them habit, so you can keep yourself and your family safe.